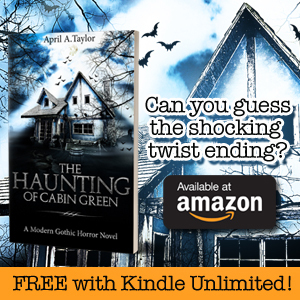 I spent seven days running a wide variety of ads for a 99 cent sale of The Haunting of Cabin Green. 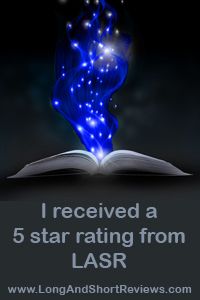 The results were definitely interesting, and I wanted to share them with all other indie authors. Although these specific results may be the most applicable to horror and Gothic books, the basic details should still be helpful for writers of all genres. Please note that sales totals shown include Kindle and paperback copies that were sold during this promotion. This was my biggest day by far, and I’m here to tell you that the hype is real: BookBub is an astounding resource for sales. It’s worth the exorbitant price tag and the multiple rejections that most authors face before landing a Featured Deal. Thoughts: I will definitely use BookBub again. I’m not convinced that Robin Reads and eReader News Today provided a lot of extra sales, but I’d be willing to give them each at least one more chance. My book also hit #1 in Ghosts, Gothic, U.S. Horror, and LGBT Horror. This day had a significant drop in sales, as expected, but it was still very good overall. My profit margin was also better than day one. Thoughts: I maintained a top 300 sales rank throughout the day. BookGorilla has always provided me with a good value for my money. 13 Horror Street offers a much more modest sales number, but at only $23 for two days, it’s a good investment for horror authors. These sites always provide a decent return on investment, even if the overall number of copies sold is underwhelming when spread across five sites. Thoughts: I’ve used all of these sites several times in the past, and I’ll continue to do so in the future. My book remained in the top 500 and I also still had the #1 best-selling book in four categories. This was my first time trying BookCave. I decided to give them a try because they have a decent reputation and a low fee. Thoughts: It’s certainly possible that a lot of these sales were carryovers from my first three days of marketing. However, I’d be happy to try BookCave again to see if I can replicate the results. Choosy Bookworm has a program where you can purchase a “guaranteed” slot on their daily newsletter. The fine print, though, says that no slots are guaranteed and they may choose not to run your book for any reason. It further states that refunds will be provided upon request if your promo doesn’t run. Choosy Bookworm didn’t run my promo; I have emailed them twice so far without any response or refund. I even gave them the option to run the book on day 6 or 7, but they didn’t do this, either. They had no problem sending me several marketing emails asking me to sign up for another promo slot, though. I’ll be filing a claim through PayPal, and I recommend that authors steer clear of Choosy Bookworm. Thoughts: This day proves that there’s a carryover effect from previous days. It also showcases sales that were generated by my week-long efforts (listed below). On paper, this day looked well-poised to deliver another noteworthy performance. Bargain Booksy and Fussy Librarian usually provide decent returns (although FL doesn’t always make back all of the very low initial investment). Kindle Nation Daily boasts huge sales figures for their Sponsored Daily Posts (which is what I signed up for), and The Lineup is a site dedicated to horror and true crime that claims to have millions of readers. Thoughts: As you can see, this day was my first failure. I got a nice number of sales, but I still lost almost $133 on the day. How did this happen? Let’s dig deeper into the results. I knew when I signed up for The Lineup that I was taking a risk. I’d never used them before, and they charge a whopping $150 for an ad spot. I almost turned this opportunity down, especially because the price had raised by $50 from what I was quoted in December 2018. I made the decision to try it, though, based partially on the thought that if they could get people to pay $50 more this year, perhaps the results were actually worth it. Meanwhile, Kindle Nation Daily doesn’t have a very solid history with horror books. I snatched this slot with a sale, though, which significantly reduced the typical price. By the time my ad for The Lineup ran, I’d already gotten half of my sales for the day. Best case scenario is that my $150 investment generated $129.50 in sales, but I seriously doubt it was that high because this would require all sales after 4 p.m. to have come from The Lineup. I recommend that horror authors steer clear of The Lineup. Kindle Nation Daily’s Sponsored Posts are also iffy for horror writers and should only be used if you can get them on sale (I paid $72). Other genres are likely to do much better with KND. If I could do this day again, I would have skipped The Lineup. Even if that had split my sales in half, I still would have actually made a tiny profit on day six instead of taking a big loss. BookBub places each featured deal in their daily email. Once a week, people who have opted to receive a weekly email instead receive a very long list of books that are still on sale. I’ve always wondered how much of an impact the weekly email has on sales, and now I know that the answer is not much. Thoughts: BookBub is still king, regardless of how many sales their weekly email generates. Daily emails are their default setting, and I’d guess that most people stick with that. Some ads ran for an entire week. Here’s what I spent for them, along with how much they generated. Because the sales numbers were figured into the daily totals, this entire section will represent a reduction in profit. Thoughts: It’s impossible to know how much the Marketing Rule of 7 played a part here, but the overall numbers don’t look good, especially for Facebook. I used Mark Dawson’s techniques for my Facebook ads, and they generated a very high quantity of clicks. The sales, though, just weren’t there. It’s unknown how many clicks may have resulted in a Kindle Unlimited borrows/page reads. AMS Ads show a deficit of $25.58 (after Amazon’s cut of the sale is removed), but this isn’t actually abnormal as many people looking for a new book on the AMS site or via the lock screen on their Kindle are Kindle Unlimited members. This is where the formula gets very interesting. I’m only going to include page reads that happened during this seven-day period, but it’s highly likely that I will continue to make money from KU page reads for the next few months as a result of this sale. If you’re running ads on Facebook, Twitter, your website, etc. without being a member of the Amazon Affiliates Program, you’re willing leaving money on the table. My sales rate fluctuated from #118 to #1,821 throughout the week. At the end of the week, my rank was #1,101, and I still had the #1 ranked book in LGBT Horror. Considering that I was at #31,403 before the week began, I was thrilled to go out with such a high ranking. I didn’t make a big profit, but I did sell 1,760 copies of The Haunting of Cabin Green in only seven days (23 of which were paperbacks!). I also still have the potential for tens of thousands of more paid page reads plus buy-through from my backlist and current pre-order title. Also, any profit at all, no matter how tiny, is a step in the right direction for an indie author. I highly recommend trying your hardest to get a BookBub deal. When you do, make sure to capitalize on it by stacking ads. BookGorilla is always a good resource for sales too. I highly recommend steering completely clear of The Lineup and Choosy Bookworm. Neither performed as expected, and Choosy Bookworm didn’t run my paid promo at all, nor have they responded to my request for a refund. I recommend using Facebook ads still, but much more sparingly than I did during this one-week extensive marketing push. Many claim that sales will continue to do decently in the immediate aftermath of a Countdown Deal, especially if it was advertised on BookBub. Here’s how the first day worked out for me. It’s reasonable to assume that these sales and page reads happened as a result of the momentum from the sale. This means the new Running Profit Total would be $158.72. Halfway through the second day after the sale, I’ve already had 11 more sales plus another 4,954 page reads. This pushes the Running Profit Total to $194.18. My sales rank is continuing to drop, which is normal. However, as pointed out in the screenshot below, I’ve still got a pretty good ranking despite being back to regular price for a day-and-a-half. It’s also been nine days now since I hit #118 during the best day of the sale. As you can see, it’s next to impossible to figure out the true profit (or loss) from a major marketing push like this due to the future ripple effect. I’m satisfied with the results, though, and it seems clear that the Running Profit Total that’s directly connected to the impact of the sale will continue to increase. Previous postGothic Horror Kindle Sale: 99 Cents! Thank you so much for this analysis. I hope someday to enter the book marketing arena, so I’ll keep everything you reported in mind.